Ok people, season seven finale of Game of Thrones is behind us and not only are there only six episodes left in season 8, we will have to wait for them for quite some time (a year or two, to be more precise). However, it seems that our thirst might just be quenched after all, in a slightly different form, though. 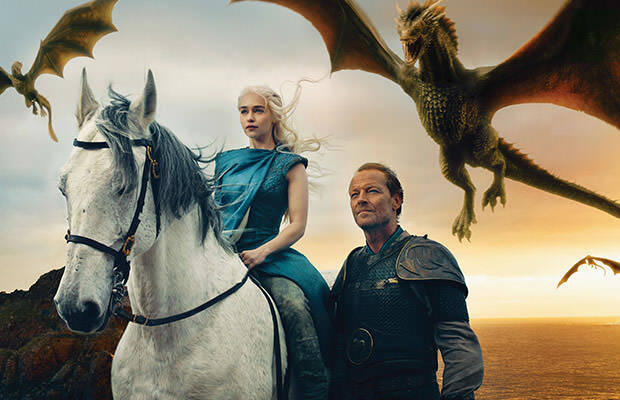 While the GoT TV series was an instant success that has been capturing much more than our collective imaginations for years now, somehow this realm of fantasy created by George R. R. Martin simply couldn’t find similar success as a video game. Aside from Telltale Games’ episodic Game of Thrones title that indeed came close to capturing the show’s spirit and transforming it into an interactive video game, there haven’t been many more successful attempts. It seems that we might finally get the proper GoT video game we’ve always wanted. Yes, this is still just a rumor, but if it turns out to be true, we are indeed in for a treat. As TechRaptor reports, Bethesda has stated working on a Game of Thrones video game that is soon to be announced. The (hopefully) upcoming Game of Thrones video game isn’t yet available for pre-order though, and there are no other details at this point, but we are indeed very excited! “The pairing of Bethesda and Game of Thrones would be a dream come true. Bethesda’s Elder Scrolls series, and especially Skyrim, were some of the best open world fantasy video games that we’ve ever seen,” say folks over at Nerdist.